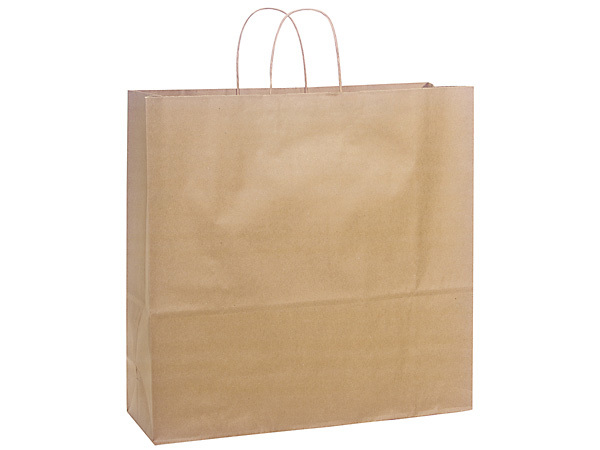 Jumbo Natural Kraft Shopping Bags 200 Pk 18x7x18-3/4"
Jumbo size Natural Kraft Paper Shopping Bags by the carton. 70# paper weight. Made in the USA.